TOYOTA Racing led from start to finish for the team’s first victory in just its third race with a dominant performance in the Six Hours of Sao Paulo at Interlagos, the fifth round of the FIA World Endurance Championship. 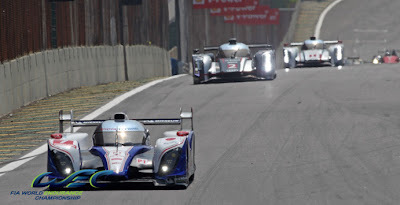 Drivers Alex Wurz and Nicolas Lapierre started from pole position in the TS030 HYBRID as the #7 maintained its record of having led every race in which it has competed. The result marks TOYOTA’s first victory in an FIA world championship race since the 1999 Rally of China. It is 20 years since victory for the TS010 at Monza in 1992, TOYOTA’s last success in international endurance racing. 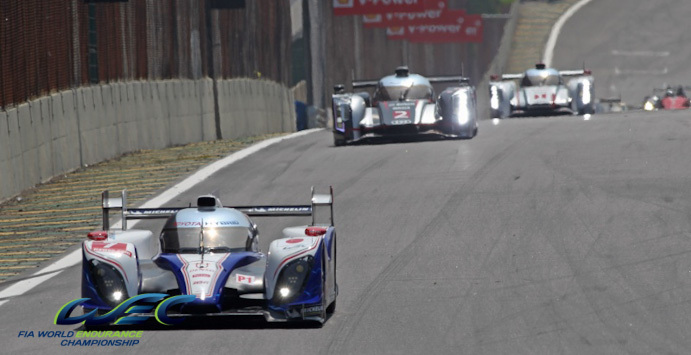 Today’s victory completes a remarkable journey for the TOYOTA HYBRID System - Racing. The project to develop a hybrid system for motorsport began in 2006 under Hisatake Murata, now Hybrid Project Leader at TOYOTA Racing. The project created history in July 2007 when a TOYOTA Supra became the firstever hybrid winner, in the Tokachi 24 Hours. That pioneering super capacitor technology has been extensively developed, reducing weight and increasing power, leading to the unique powertrain in the TS030 HYBRID. At Interlagos, Nico took the rolling start in bright sunshine and held the lead into the first corner. He set the pace at the front as he skilfully fought through the traffic before handing over to Alex with just over 90 minutes gone. Soon after Alex made a fuel stop, an incident down the field caused a short safety car period, helping the #7 extend its lead to over 40 seconds. At the restart Alex maintained the blistering pace to stretch his advantage to over a minute before handing back to Nicolas with two-and-a-half hours to go. He extended the lead to a complete lap as the final quarter of the race arrived. The TS030 HYBRID was clearly the fastest car and as the race entered its final hour, Nico handed over to Alex. A very short fuel stop with just a few minutes to go allowed him to take a well-deserved victory by over a minute. TOYOTA Racing’s next action comes at the Bahrain International Circuit for the Six Hours of Bahrain on 29 September when Alex and Nicolas will again be driving the #7 TS030.